Imagine yourself in a furniture warehouse chock full of wardrobes, dressing tables and gas cookers. Spend two months in the space, which is both strange and familiar and what ideas do you come up with? This is exactly what By Word of Mouth, a Bristol based company of performers and artists, have been doing and the result will be three public performances of on December 5, 6 and 7 at the Sofa Project. 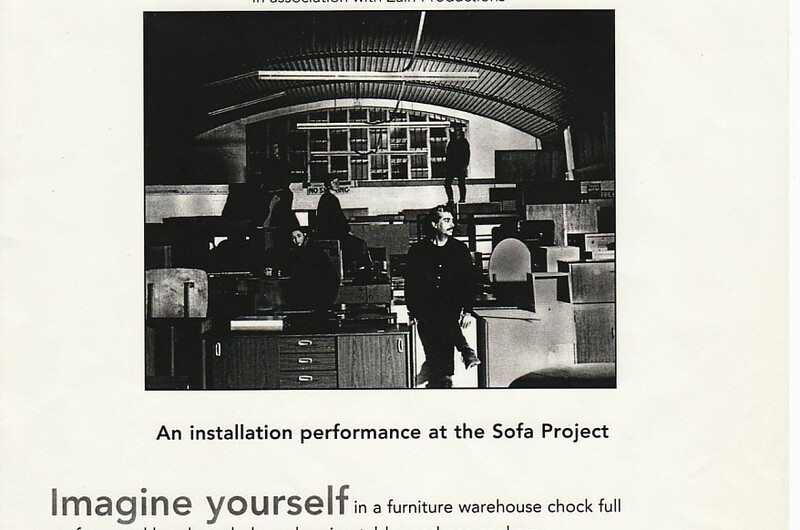 The project is a collaboration between the theatre company and the Sofa Project, a charity which recycles donated furniture for sale to people on low incomes. The performance is a series of 36 Touching Moments, also the show’s title, and is inspired by the space and its contents and devised by the company. The moments are a brief glimpse into aspects of our lives and our relationships which touch all of us at one time or another. It also includes dance, music, film and video and involves 21 people, including performers, technicians, the artistic director Max Holloway and choreographer Zahid Dar. A very original performance in an extraordinary place. See it and you’ll never look at a piece of furniture in the same way again.